Haha! A guess if there is a good kind of sting this is it, Robin! Makes good use of black, like you! What a PERFECT book!!! Rhyme and color and bugs!!! Have a fun trip Ms RZ!! Thanks, Michelle – put in a good word for me with the railroad strikers in Germany: just hold it off for 24 more hrs! I smell a story there, somewhere! At least an illustration! 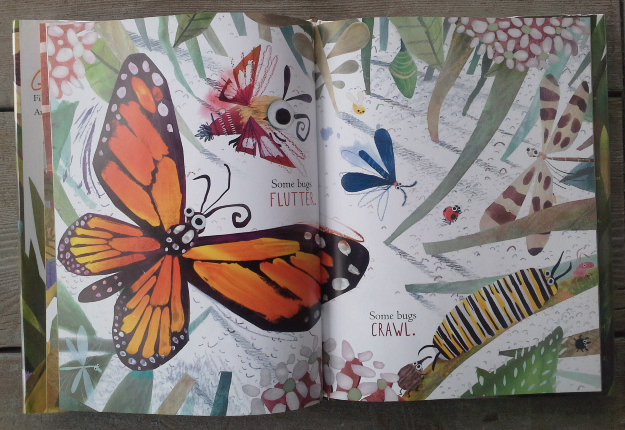 I love the sparse text with the emphasis on the illustrations. They are gorgeous. Love butterflies and some bugs. BUG LOVE! 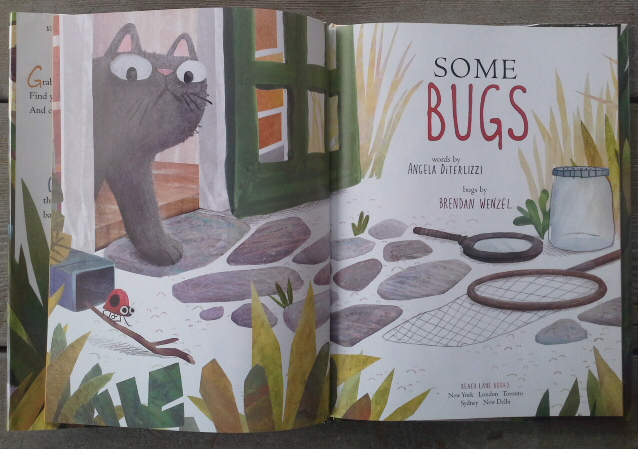 Great rhyme, BRIGHT illustrations AND a cat! It’s a winner! Got it on hold. Sounds great! Love this book! Because I love bugs…. and it’s so fun. What a delightful-looking book, Julie! 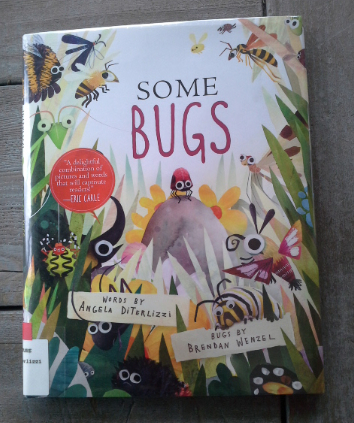 I love that cover and all the bugs with their bug-eyes! The whole thing – text and pictures – is so appealing – just pulls you right in! Thanks so much for sharing! 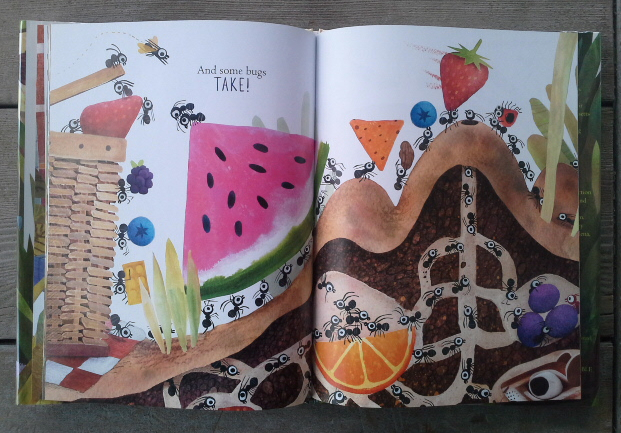 I love the bright illustrations. Thanks for popping in Rachel! Love it, especially the illustrations. Thanks for sharing. You had me at the title … then the cover … then mixed media collage. Despite being snowed in, I stayed off the internet so I’m Perfect Picture Monday-ing ….